Mostly cloudy early, then sunshine for the afternoon. High 61F. 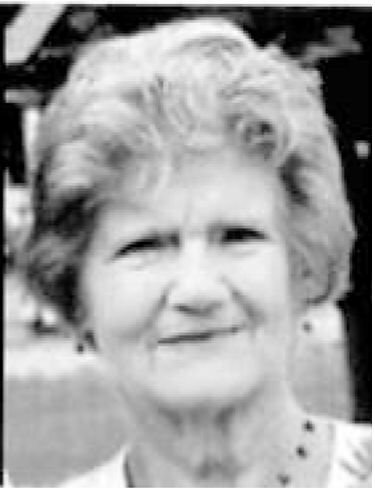 Winds light and variable..
Marily Rita Jewell BARRE TOWN — Marilyn Rita Jewell, 83, of Wildersburg Common, passed away unexpectedly on Jan. 11, 2019, at the Bayfront Medical Center in Port Charlotte, Florida, where she died during heart surgery. Born April 3, 1935, in Norwich, Connecticut, she was the daughter, one of 11 children, of Rena and Merlin Haywood. She attended schools in Corinth and graduated from high school at Thetford Academy. On July 14, 1956, she married Kenneth Ted Jewell in Ridgefield, Connecticut. Following their wedding, they lived in Connecticut before moving to Corinth. Ted passed away in April 2000. Marilyn was a loving mother, grandmother and great-grandmother. She enjoyed going to dances and spending many hours working on puzzles, knitting, reading and especially, walking with her neighbors and friends. Marilyn will be greatly missed by many. Survivors include three children Keith Jewell (Colleen), of Warren, Connecticut, Valerie (Keith) Mazzerelli, of Corinth, Judy Minster (Joe), of Warren, New Hampshire. Her siblings include Marina Butler, of North Port, Florida, Malcolm Hayward (companion Nancy Blanchard), Donald Hayward (Mary Jane), Juanita Sleeper (Maurice), Rubina Benson (Walter), Katleen Ricker (Ronald), Maxine Cahill (longtime partner Ralph LaRose), all from Vermont; many grandchildren and great-grandchildren. Marilyn was also predeceased by her brother, Merlin Hayward; and sisters Ramona Gile and Lorraine Kennedy. A service to honor and celebrate her life will be held at a later date.